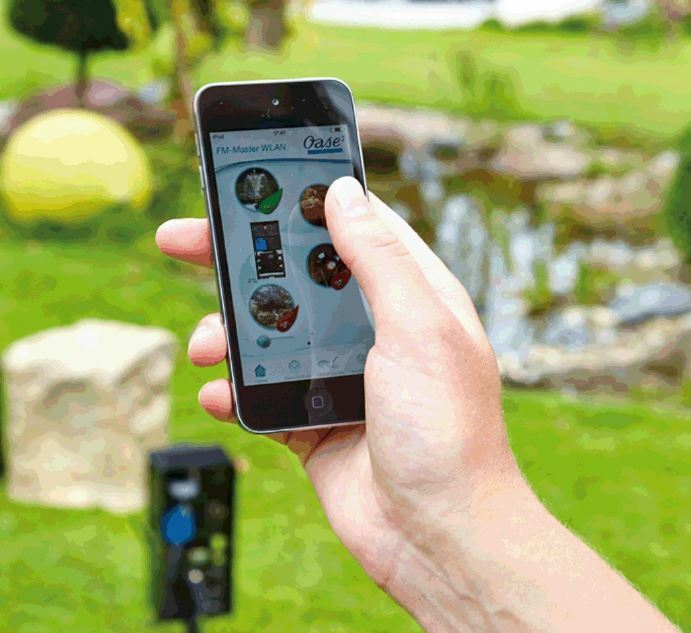 KEY POINT: Even if you only have one circuit in your garden this remote control system converts the single circuit to four separate circuits each of which you can turn on/off from the comfort of your phone. 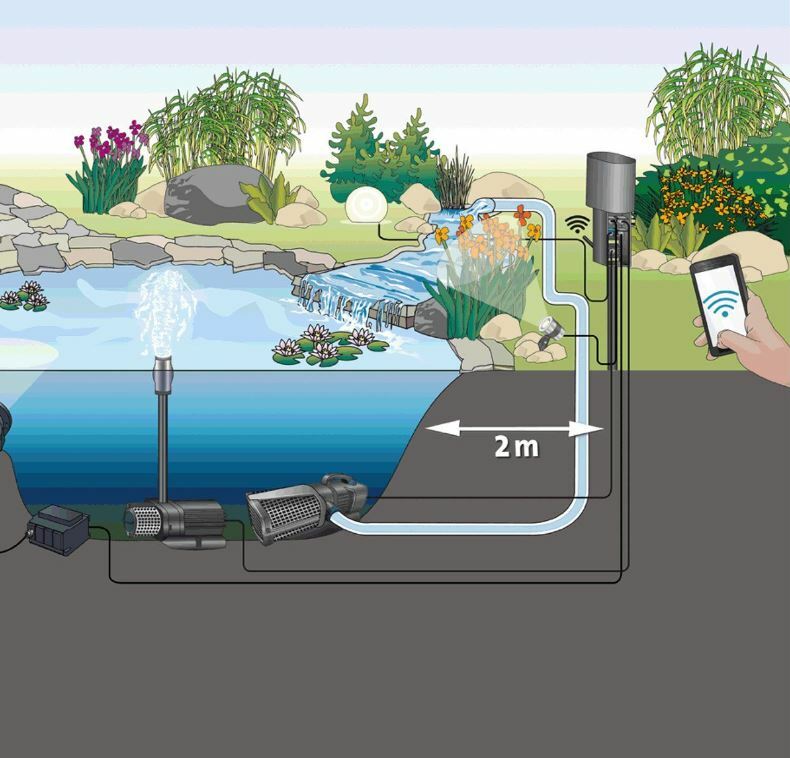 App for the garden pond - at last, control your garden fountain and lights with your smart phone. Simply download the app (from the Apple Store or via Google Play) and get started. With 4 power outlets: 3 can be switched on and off, and an further 1 is dimmable. 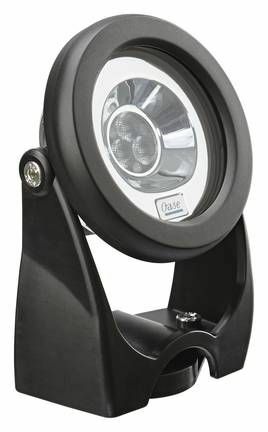 With this dimmable function you can control the spary heigh of many Oase Pumps. Each power outlet can be controlled over 24 hours with integrated timer. So, for instance you van have your lights come on and off at differentr times automatically....no need for separate timer. With additional DMX-RDM connection for connecting to end devices that are garden system compatible. In addition, up to 10 remote-controlled OASE devices can be combined and controlled via the app. Natural Sandstone look cover for remote control systems and air pumps. 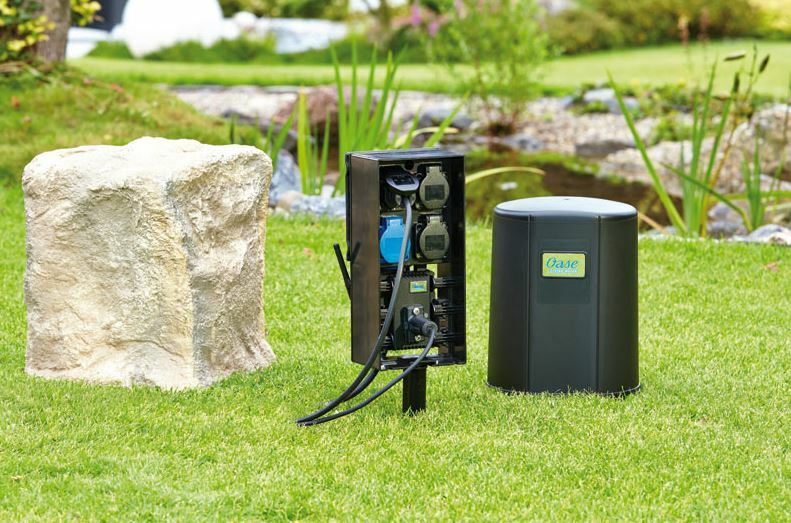 Remote control power system for your water garden. Underwater spotlight set for Oase Pond Jet Floating Fountain. Floating Fountain for large ponds or lakes.